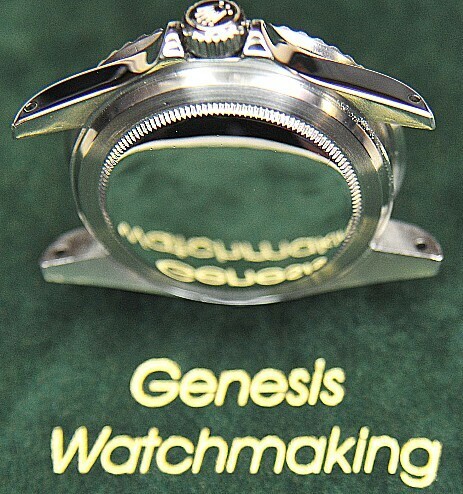 Genesis Watchmaking proprietor Duncan Potter is a Rolex Accredited watchmaker. All work is carried out to strict standards laid down by the Rolex Watch Company and carries a full two year warranty. Click on the pictures on the right to make an enquiry, book in your watch or find the service price list. On arrival the case is tested for waterproofing and the movement funcion tested - these results are supplied to the customer for comparison with the results after the service. The movement is uncased and the dial and hands put to one side in a protective box. The movement is then precleaned in an ultrasonic watch cleaning machine. Next comes stripping down of the movement. During this stage each part is checked, adjusted and repaired as necessary. New factory components such as wheels, springs and levers are replaced if at all worn. The components are then cleaned for a second time ready for assembly. With a pristine set of components the movement is then rebuilt and correctly oiled. A comprehensive set of timing tests are undertaken and the final time-keeping adjustments are made.These results are supplied to the customer. In the meantime the case and bracelet have been stripped down and ultrasonically cleaned. The cleaned components are the refurbished prior to a second cleaning. The case is then rebuilt with new waterproof seals throughout. This is followed by a series of wet and dry tests to check the water-proofing. These results are also supplied to the customer. Finally the dial and hands are refitted and the movement cased up for final testing. We will now be ready to issue the two year warranty and make arrangements to return the watch. A video describing how watches are timed at Genesis Watchmaking using the Witschi X1 G2 timing machine. 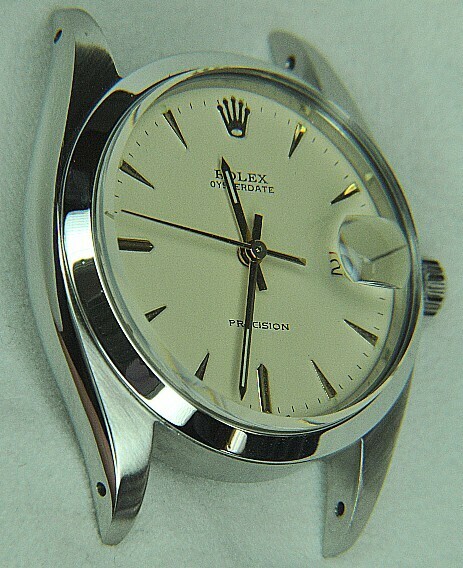 Owner, Duncan Potter describes the process of timing a Rolex in six positions.